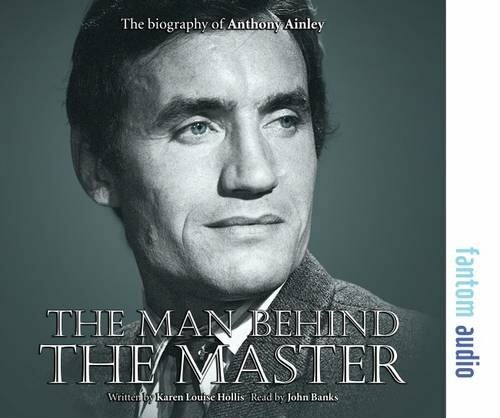 Note: Audio reading of Anthony Ainley's biography. Was exclusively available from the Fantom Films website initially — wider followed in March 2016. Although known to an audience of millions the world over for his portrayal of The Doctor's arch nemesis The Master in Doctor Who during the 1980′s, Anthony Ainley had a prolific career which encompassed starring roles in Spyders Web and It's Dark Outside, as well as appearances in renowned dramas such as The Pallisers, Elizabeth R, Nicholas Nickleby, Upstairs, Downstairs, and cult films including Blood On Satan's Claw and The Land That Time Forgot. Using exhaustive interviews with friends and colleagues from every aspect of Anthony's life, including his best friend from school, fellow children from the Actors' Orphanage, cricketing friends, colleagues, and those who remained close to him until his death in 2004, this book aims to uncover the real Anthony Ainley — The Man Behind The Master.